Two people, a 17-year-old boy and a 30-year-old man, were bitten by sharks in Fernandina Beach Friday afternoon. Fernandina Beach waters reopened Saturday after two people, a 17-year-old boy and a 30-year-old man, were bitten by sharks on the beach Friday afternoon. At around 3:35 p.m. Friday, the Division of Ocean Rescue for the Fernandina Beach Fire Department responded to an alleged shark bite at Seaside Park at 2002 S. Fletcher Ave. in Fernandina Beach. While crews were on scene, a report of an additional shark bite was received just minutes later at 3199 S. Fletcher Ave. at Beach access 31. Both patients are reportedly stable with non-life-threatening injuries, and neither victim could specifically advice what type or size of marine life had caused their injuries, according to City of Fernandina Beach Government. 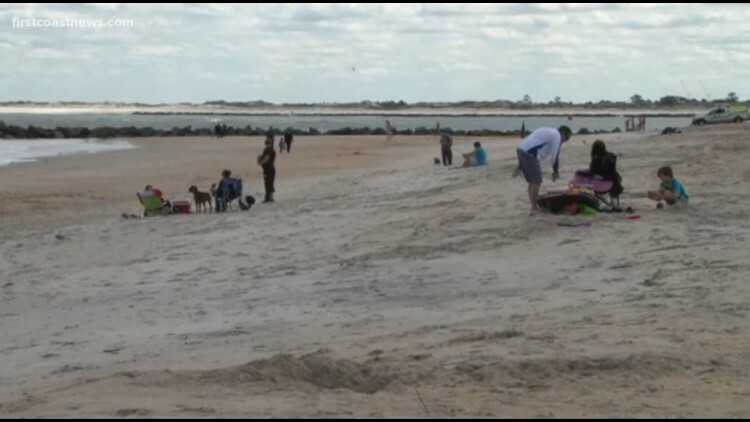 First Coast News talked with a witness at the scene, Tia Walker, who just wanted to get in the water to cool off for a few minutes after catching up with family during a reunion. “It happened very quick,” she said. Walker says she was only in the water for about five minutes. She would soon notice there was more activity in the water than there should be. “He yelled, he like went down and he started hopping and he looked over at me and goes 'I got bit, I got bit,' he started motioning toward the beach,” Walker said. Then, Walker started to freak out. “He barely made it out of the water, he laid down at the life guard stand and they just went to wrapping and gauzing,” Mike Webb said. Mike Webb also spotted the 30 year-old man getting out of the water. 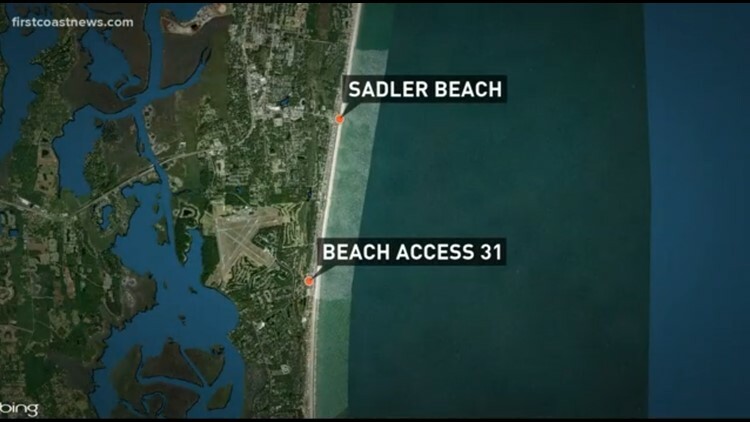 The 30 year-old is expected to be ok as well as a 17 year-old boy, also apparently bitten apparently by a shark just minutes later, and barely a mile south on the same beach front. “Maybe a minute later there were people already coming down with their sirens on to help him out, that all happened before I even got off the beach,” Walker said. Swift actions following a scary moment. While some say two reported shark bites minutes apart may make them think twice about setting foot in the water, not Walker. Double red flags are currently being flown at all guarded beaches in the area and Fernandina Beach waters were closed for the rest of the day before reopening, Saturday morning. The last reported shark bite in our area was June 18.